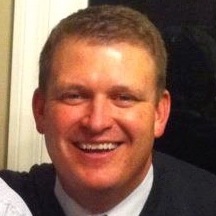 As the Vice President of Sales at KaiNexus, Jeff Roussel is responsible for all aspects of sales and leads. He is fanatical about building a team that demonstrates the business value and fit of the KaiNexus solutions. He has a true passion for learning, which is evident by the variety of the posts you’ll see below. We asked him to share what he’s been reading this week. Enjoy! My weeks are extremely busy, but I try to be disciplined about setting aside time each day to learn something new. My interests run the gamut from continuous improvement, leadership, sales, sports, and more, so I always find something to pique my curiosity. With that in mind, here are five books and articles that caught my attention this week. I hope you enjoy them as much as I did. I loved the idea of “Escape Velocity” in the Idea Driven Organization’s blog entitled, The Most Important Number to Watch When Launching a High-Performing Idea System. These guys just get continuous improvement, and I loved their vision of a team who keeps working on improvement ideas even after management tells them to slow down. I think another great measure of continuous improvement success is the percentage of ideas that are implemented in an organization. KaiNexus customers successfully resolve 4 out of every 5 improvement ideas from their employees – talk about a measurable business impact. - How can I add more value to my customers (current & future)? The article reminded me of a video where Jobs expounded on his passion for continually improving everything that Apple created. It’s easy to think that the iPhone was simply a masterstroke of genius, but the reality is that the end product was the result of hundreds (or more probably thousands) of small improvements until they got it just right. We all have that ability within each of us. It was time to step up my understanding of web marketing techniques, and this book did the trick. It’s written by the co-founders of Hubspot, which we use here at KaiNexus, and the book was a great first lesson in the nuances of finding people online who believe the same things we do at KaiNexus. I’d recommend it to anyone who needs a better understanding of online marketing techniques. I enjoyed this post on The Sales Blog on the importance of managing individual growth as a leader. We all get caught up in managing the bottom line, but company success only comes as a result of individual development. As leaders, it’s important that we spend our time developing our people, or our time spent managing company growth will be to no avail. One of the ways I maintain my reading disciplines is to mix in “fun” books every now and again. I find that it helps me to be a better writer, but more importantly, it gives me the chance to get lost in a great story. My last two fun books were The Book Thief, by Markus Zusak and The Yellow Birds, by Kevin Powers. They are different types of stories, but I recommend each highly. I hope you enjoy them as much as I did. Here’s hoping my reading habits will inspire you to learn something new today. I’d love to hear what grabbed your attention this week, because how else am I going to know what to read next week.